Hi there, my darlings! This afternoon, I have for you another seemingly ill-timed Halloween collection review! But this time, the late post was quite intentional. Why this madness, you ask? Because this collection, if you can get your hands on it, has some stellar products that proved their worth to me way past just Halloween. 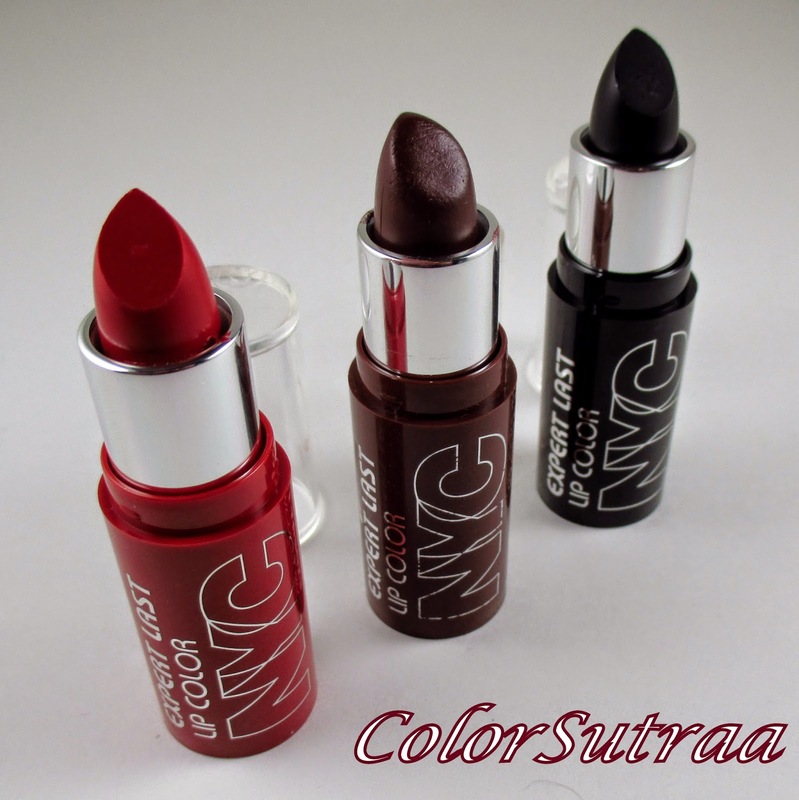 Let's take a look at NYC New York Color's affordable but versatile Midnight Beauty collection for Halloween 2014. Yes, yes, I know Halloween is long gone but because I was out of the country for so long and hence so backed up with swatches, these not only got to me later than they should have but I also couldn't get swatches done until recently. And here we are. But while editing these photos, I realized that many of these polishes create some striking looks for the upcoming holiday season. Take a look for yourself! 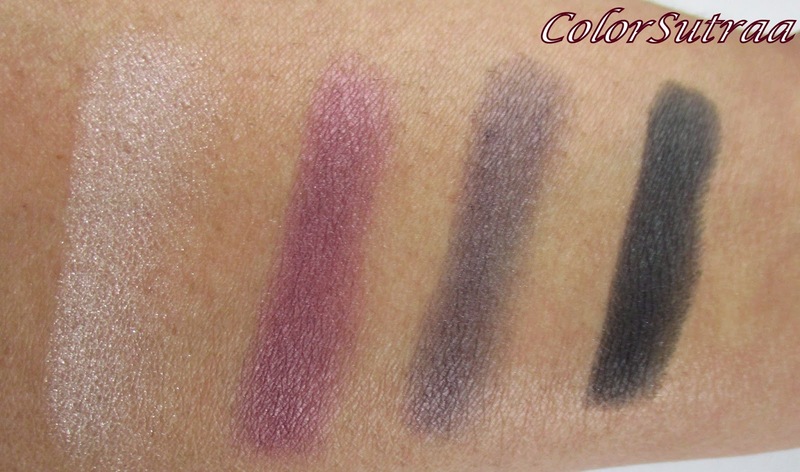 There are two separate Individual Eyes eyeshadow palettes (Retail : $4.99) that are part of this collection--Hate The Light and Vampiress, as shown below. Each palette contains 4 eyeshadow shades plus a primer (base) and an illuminator (highlighter) plus a 4-sided foam applicator. Before I show you individual products, let's talk about the formula of these shadows. 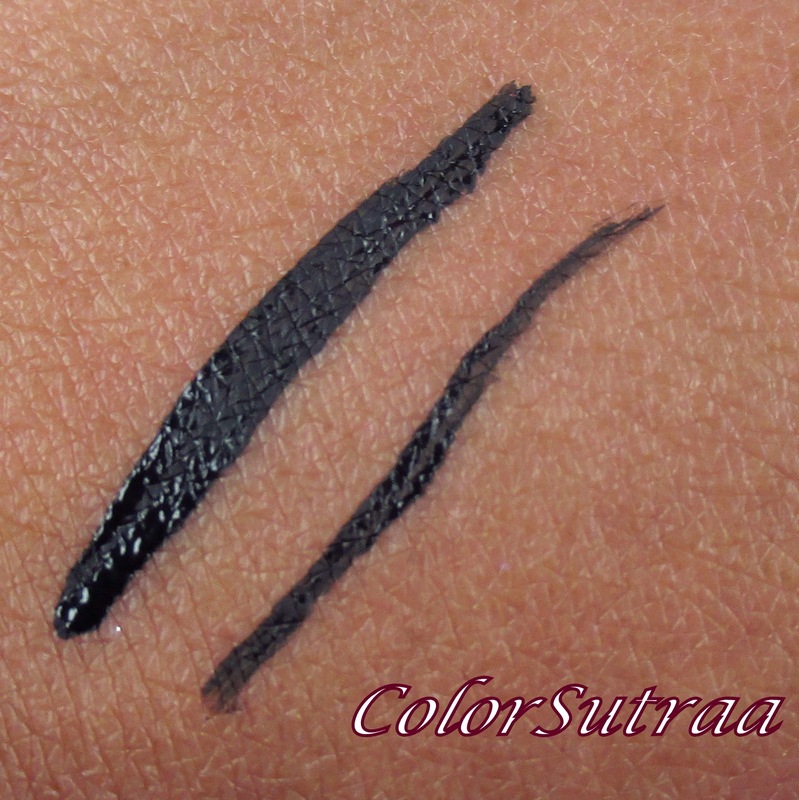 I was incredibly surprised to discover the fantastic formula of these shadows--well-pigmented without being chalky or overly dry, these shadows blended quite well and the color pay off per swipe was great! Minimal fallout during application and the great price points make for true winners! 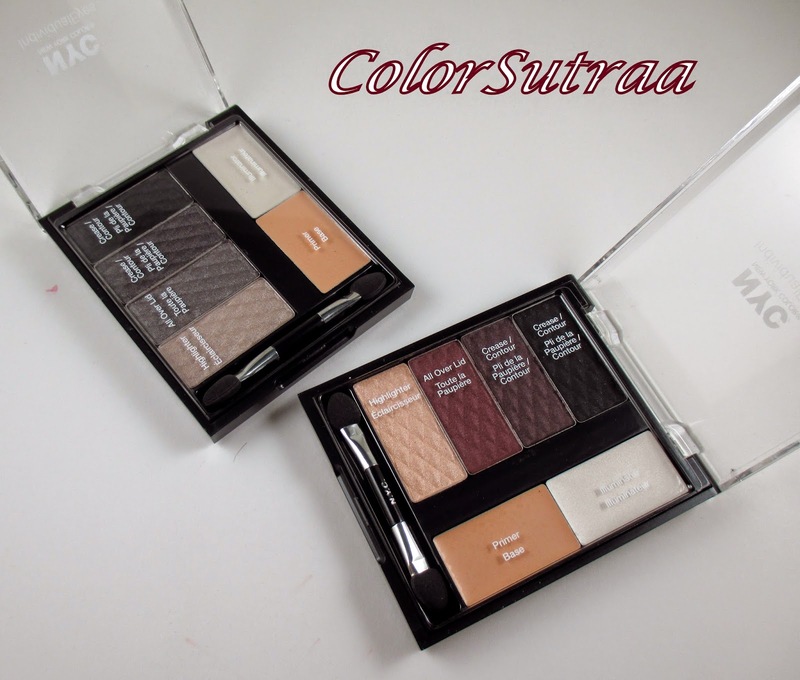 Grab these palettes if you see them! 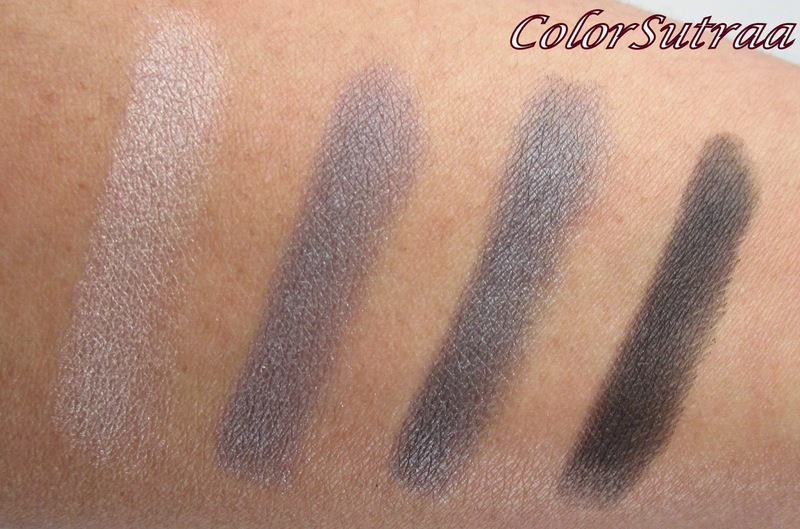 Hate the Light contains a pale shimmery gray, a medium gray, a pewter gray and a matte black--perfect for creating a smoky eye! Vampiress contains a pale champagne, a plum, a dark taupe, and a matte black--a seductive set for shades that are universally flattering! 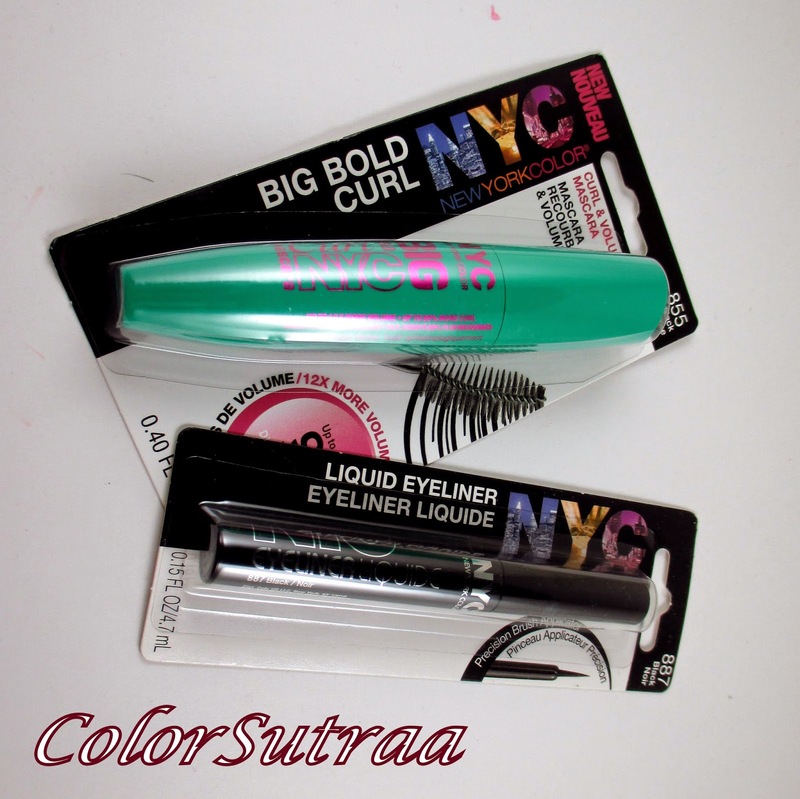 The collection also features the Big Bold Curl mascara (Retail : $4.99) and the Liquid Eyeliner (Retail : $2.99) in Black. 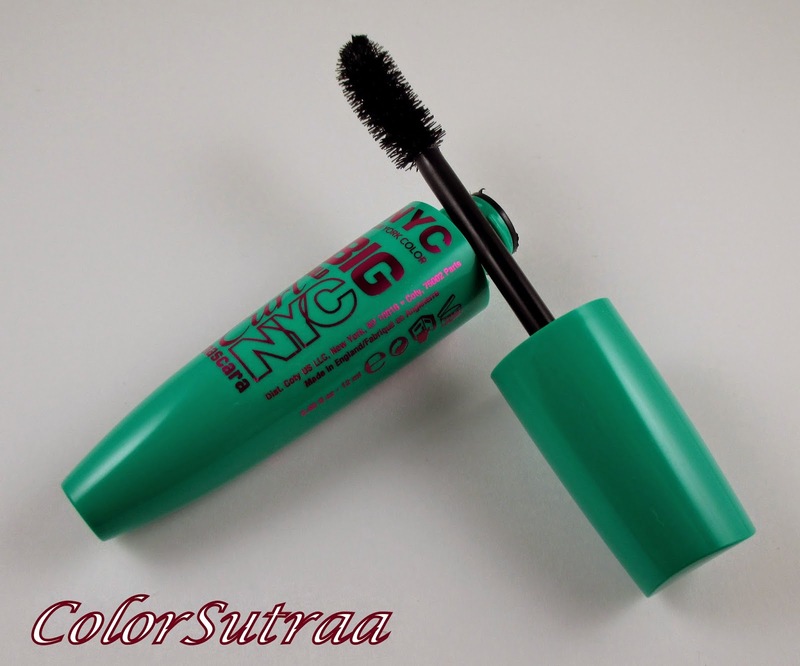 First the mascara--this has legitimately become one of my favorite mascaras and ensconced itself in my everyday makeup bag! 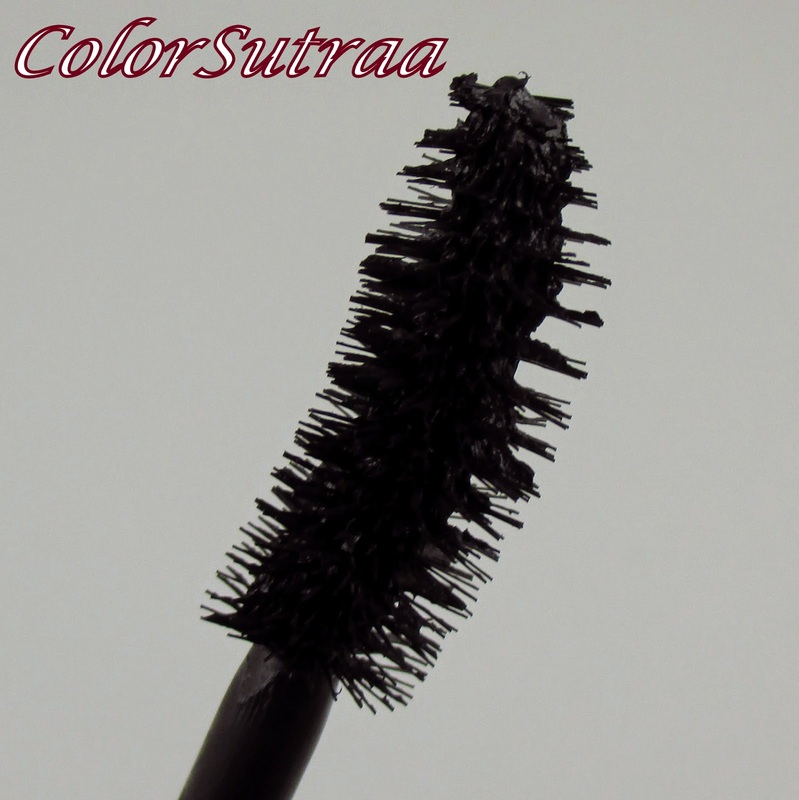 The curved brush makes application of the product onto even the tiniest lashes so much easier. The formula allows for multiple coats, without clumping or flaking. Overall, a fabulous product! 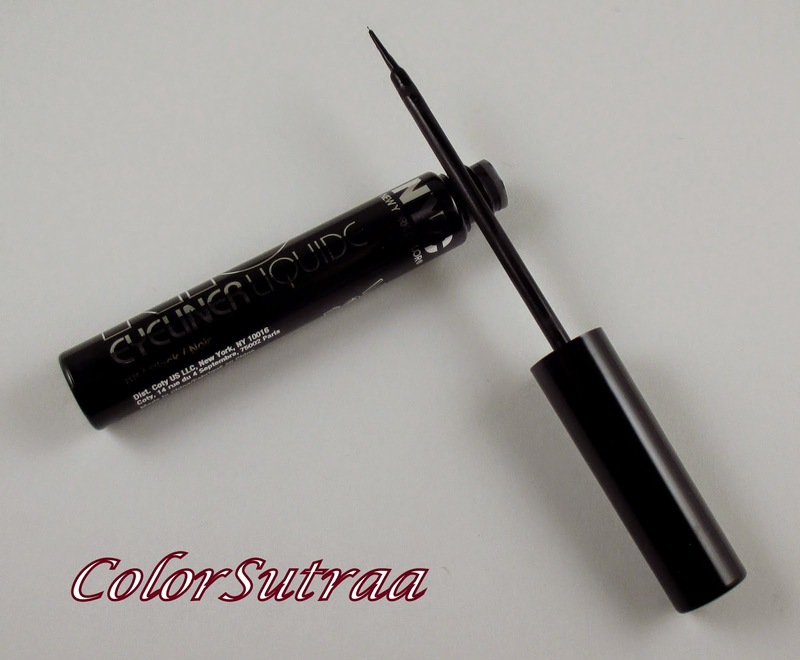 I have used the Liquid Eyeliner and I've found it satisfactory--a pretty good product for the price point. 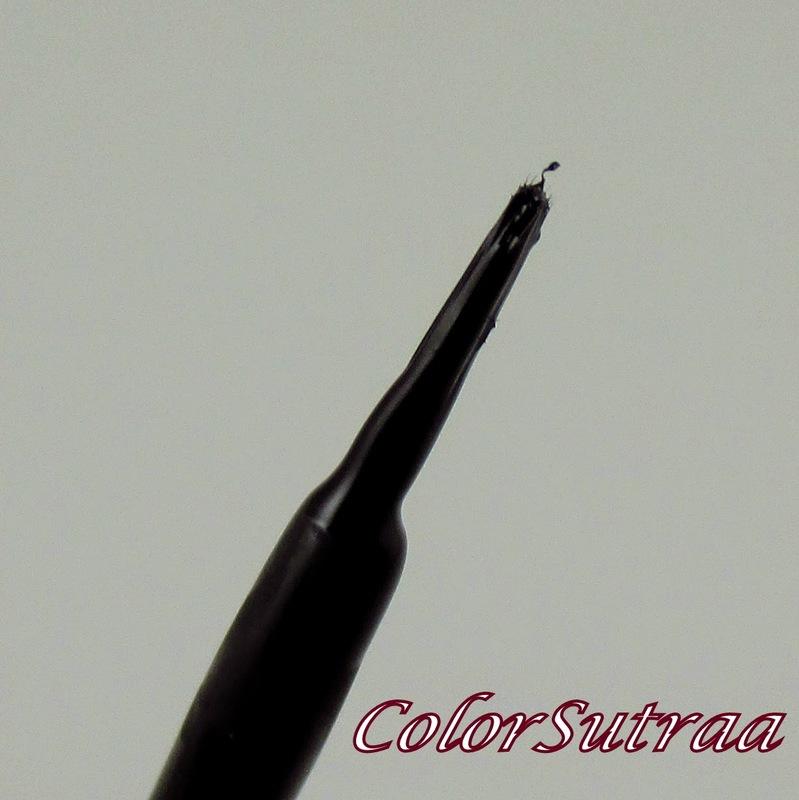 I usually prefer my liners to have a thinner brush to allow for more accuracy of application but this brush did a fair job of drawing my usual winged tip. Once dry, the shade is a smoky, dark black though not jet blackest black. If you know what I mean. 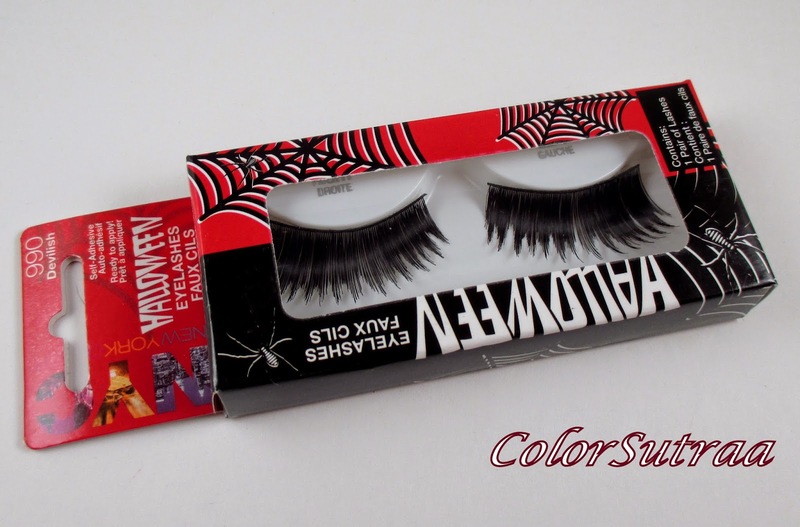 The collection also includes this dramatic lash set which I've tucked away for a special occasion! 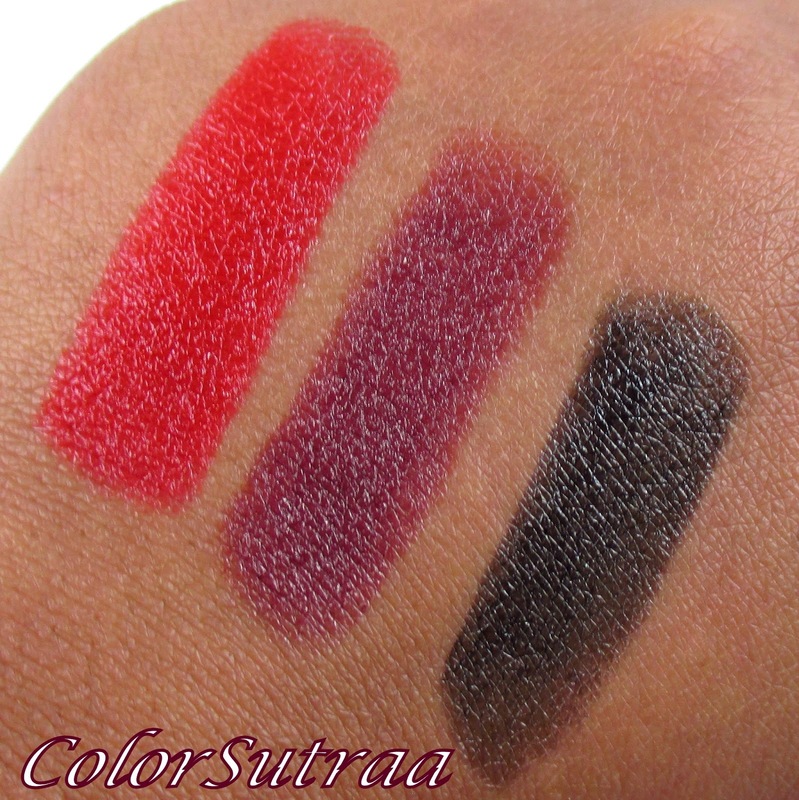 The three lipsticks (Retail : $1.99) that are part of this collection are incredibly theme appropriate--from left to right, Red or Alive, Immortal Vixen and Dark Rebirth. Red or Alive is a bright, clean red creme. Immortal Vixen is a rich burgundy wine creme with brown undertones. Dark Rebirth is a black creme. These all went on really smoothly and were quite pigmented. I thought Immortal Vixen would be my favorite but it wore a tad too brown on me. Red or Alive, though, was an instant winner--this bright red immediately flattered my complexion! The four polishes (Retail : $1.99) included in this collection are in the perfect shades for the season! Take a look! I An Not AffRED is a dark oxblood/burgundy red crelly. No complaints with the formula or application--the swatches below show 3 thin coats by itself. Such a gorgeous, vampy shade! Black Elixir is a jet black crelly. Again, no complaints with the formula or application--the swatches below show 3 thin coats by itself.A perfect black with a super shiny finish! Rock Muse Smoky Top Coat is a glitter topcoat full of silver glitters in a smoky black-tinted base. The swatches below show just 2 thin coats over Black Elixir, topped with 1 thin coat of G&G's HK Girl topcoat. 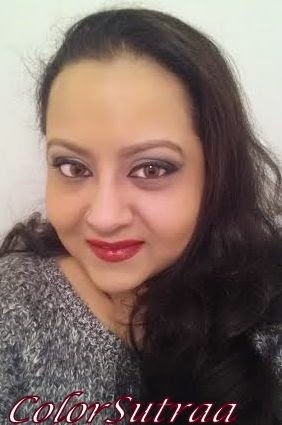 I was really impressed with this glitter--no fishing, easy breezy application! And the results are super pretty! Animal Instinct is a medium orange creme. This shade went on a little streaky at first but leveled out quite well by the third thin coat. 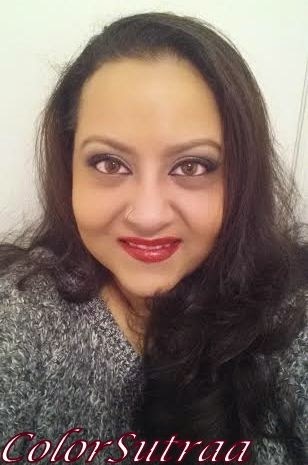 And before I sign off, here's a look I created for my work holiday party using ALL the products above (except the lashes and polishes). 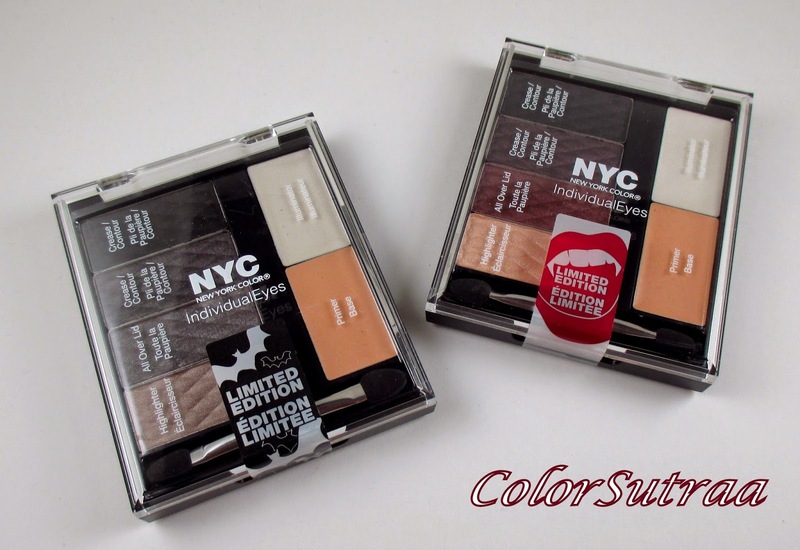 This is such a great Halloween makeup collection from New York Color! :) I love the swatches you did! Very useful. I will be in the lookout from Amazon.com. Great review!